Raising capital for your business can often be difficult. The Enterprise Investment Scheme (EIS) has been designed to make investing in companies more attractive. The investor can usually gain a tax advantage by putting their money into a business. The rules that govern how EIS work are complex. It is advisable to seek expert tax and financial advice before your business enters into any Enterprise Investment Scheme agreements. HMRC will want to see detailed records to show how your business and its investors are operating the EIS scheme to ensure that any tax that is due is properly accounted for. The HMRC website has detailed information about the EIS system. You should familiaries yourself with these guides before beginning any EIS application. The Government allows certain ‘qualifying companies’ to use one or more of the EIS systems to allow tax advantages to be gained by the person making the investment. The motivation is to reduce tax that the investors has to pay. There are a number of EIS tax reliefs that your business and its investors could use. The Enterprise Investment Scheme is interrelated with a number of other tax exemption, or tax reduction schemes. It is vitally important that your business understands how these relationships work. 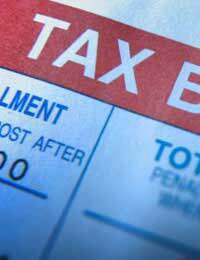 Failure to pay any taxes that are due could result in fines. Usually, any inheritance tax that would become due on an estate will be exempt from payment if an EIS investment has been made. The rules state that the exemption is only valid after the investment has been held for two or more years. Capital gains are usually payable as a tax on any income that is obtain from the disposal of an asset. With Capital Gains Deferral Relief the Capital Gains Tax can be deferred indefinitely. However, the disposal of the asset must be less than 12 months after the EIS investment is made. Or the disposal of the asset was less than 36 months before the EIS investment. Also, relief is not limited to investments of £500,000 as is the case with income tax relief (see below). Investors that have no more than a 30 per cent stake in a qualified company and that hold their investment for at least three years, can usually claim a reduction in their income tax liability. This reduction will usually be equal to 20 per cent of the amount they invested in the company. The maximum that an investor can make in the qualified company is £500,000. When the reduction in income tax can be claimed will depend on when the investment is made. Your accountant should be consulted to ensure that the maximum tax relief is claimed at the appropriate time. Tax relief on income is very attractive to investors as the EIS system is set-up to offer a tax incentive to invest in companies that qualify. Many entrepreneurs are looking to make an investment, but they also want to make that investment work as hard for them as possible, which usually means a tax reduction as well. Unfortunately in business some investments do not make the return that the investor was hoping for. The EIS system is set up to handle these situations and stop a possible loss on the investment preventing a person from putting money into a qualifying company. Loss relief as its name suggests enables the investor to offset any losses they have in a company. Losses take into consideration Capital Gains Tax and Income Tax before any relief is made on the investment. This can provide somewhat of an insurance policy for investors that want to use the EIS systems. Overall, the Enterprise Investment Scheme can be a superb way for a qualifying company to gain the investment it needs to continue operating, or to gain the working capital it requires for expansion. The tax advantages can be complex to understand, and even more complex to administer, which makes it crucial that your business and the investor take expert help at every stage of the application process. Offering an investment that will mean a reduced tax liability for the investors is a very attractive means of gaining the money your business needs.